The 20th century was a time of tremendous exploration and technical bravado in the realm of printmaking. Many of world’s leading artists focused much of their creativity on the making of original prints, thus greatly enhancing their desirability to knowledgeable collectors. We have long been a resource for outstanding examples of these original prints, including rare and experimental works that show the evolution of the art form. Collectors of 20th century art often find themselves enamored of the carborundum prints of Joan Miro. Though the artist dedicated a tremendous amount of energy to printmaking during his long and distinguished career, it was the carborundum technique, combined with etching and aquatint, that elevated many of his most critically accepted works. In fact, the Museum of Modern Art mounted a special exhibition devoted to the carborundums in 1970. We are currently featuring seven of these highly popular works, of which three are illustrated below. We are currently featuring a number of important new additions to our collection. Of particular interest are three extremely rare Picasso lithographs from a series that is considered his masterpiece in lithography, the Femme au Fauteuil. There were only six impressions of each printed and there was no formal edition. In November of 1948, Picasso attended a peace conference in Poland, at which time he acquired a striking coat made of embroidered leather and sheep’s wool. After returning to France, he became fascinated with the idea of incorporating into his art both the coat and an exceptional antique chair that had take up residence in his studio. That notion became the genesis for Femme au Fauteuil. Further inspiration came from his lover and muse, Françoise Gilot, who became the model for this exemplary series. They beautifully illustrate Picasso’s ingenuity with the lithographic medium – a technique in which he immersed himself in the late 1940’s – and to astonishing effect. Miro’s distinctive imagery and unique spatial arrangements often evoke a sense of wonder. He masterfully weaves together dreamlike imagery, filled with fanciful creations that delight the eye, in a unique fashion that is simultaneously playful and sophisticated. 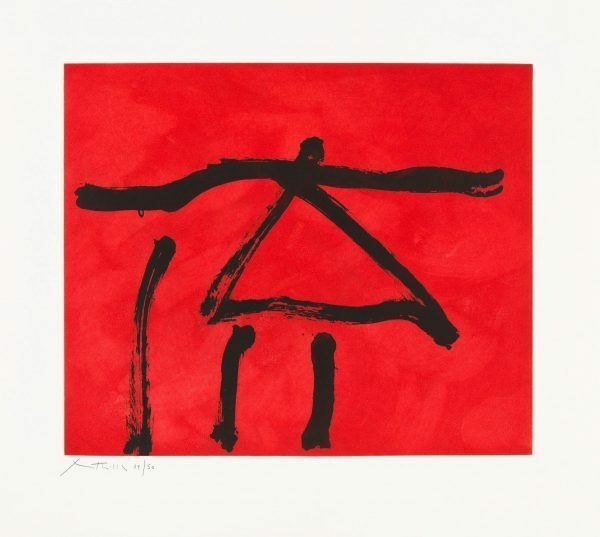 His work has influenced numerous other artists who are also featured in our collection, including Robert Motherwell and Alexander Calder.